Topic: In-Ear Sound Isolating Earphones? I'm looking for new earbuds to go with my iPod. Since the music I listen to, is often drowned by extraneous sounds in the soft passages, these in-ear sound isolating earbuds seem a good idea. These seem very popular: Ethymotic, Shure, Sennheiser, Ultimate. 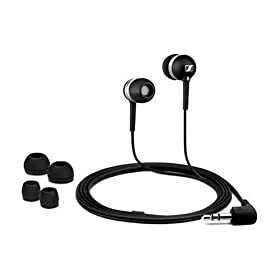 Re: In-Ear Sound Isolating Earphones? My concern with this type of product is, very simply, hearing damage. With the sound so immediately penetrating your ear, I suspect that the resultant damage could be significant unless you are very disciplined and careful. Oh dear....is it English? I'll check! You think you really need them? I use in ear headphones quite a bit and let me tell you they are LOUD. I can't imagine what kind of ear drum damage the sound-isolating ones will cause.